July 16 – 22, 2017 marks the 25th staging of Reggae Sumfest. 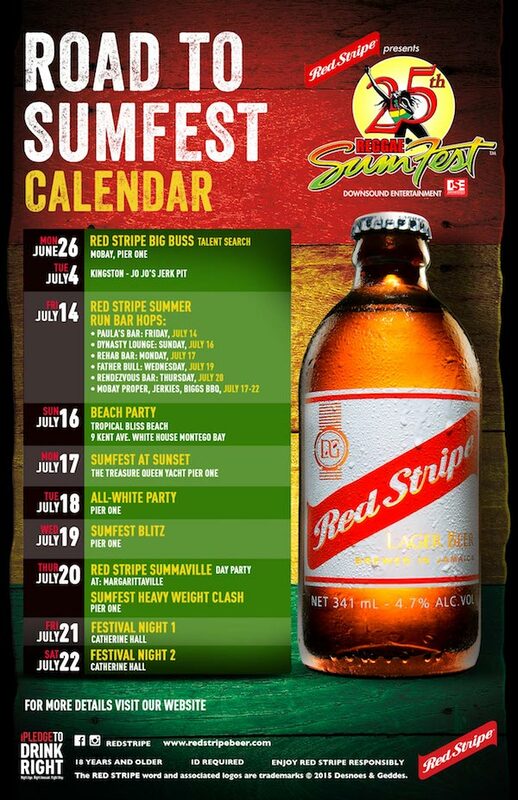 Red Stripe is committed to supporting ventures that represent indigenous Jamaican culture. 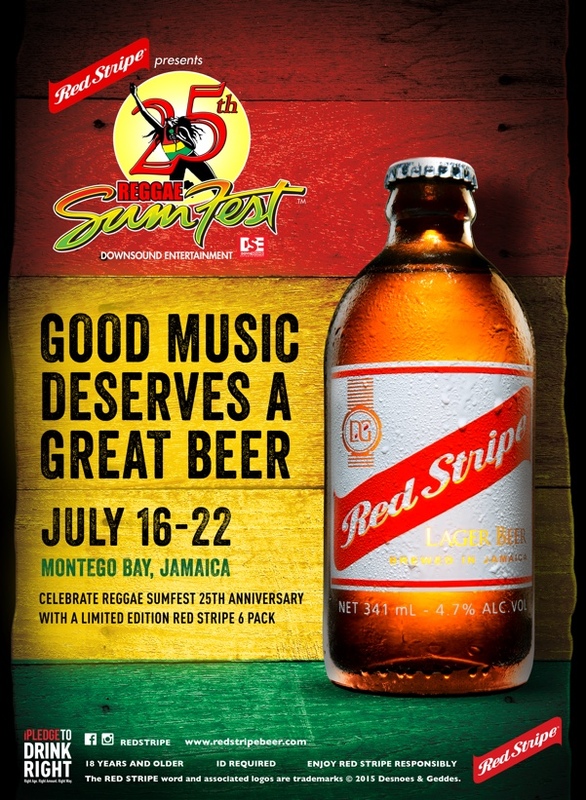 Reggae music is intrinsically Jamaican and so is Red Stripe Beer hence, it made perfect sense that we the great Jamaican Beer would want to partner with the Greatest Reggae Show on Earth to deliver a truly Jamaican experience.